Getting from Negombo to Dambulla by bus is actually quite easy (and cheap) but it does take a while. The first thing you need to know: there is no direct bus. 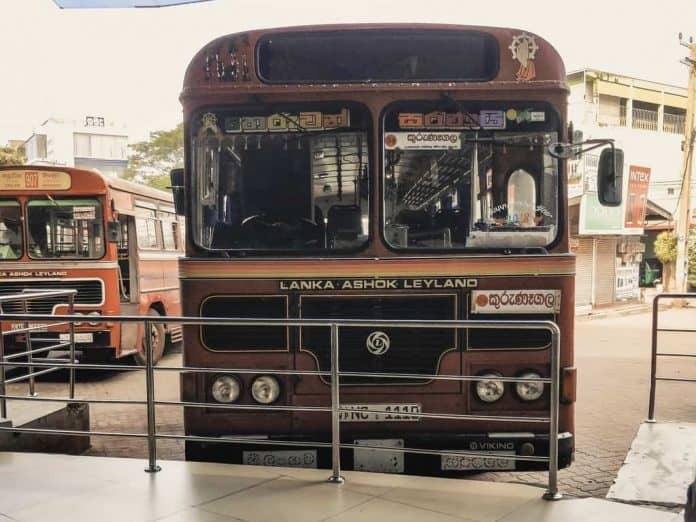 You’ll have to hop onto another bus in Kurunegala. 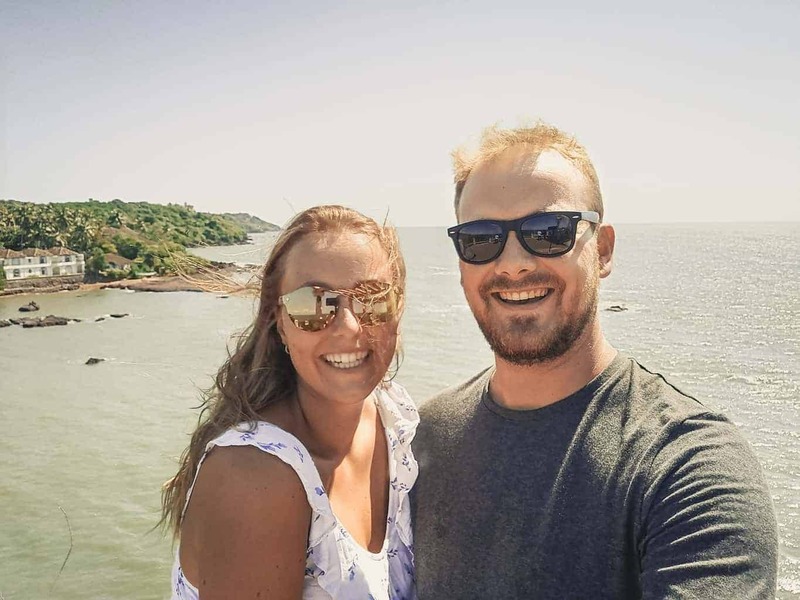 Don’t forget to check our entire journey at “Sri Lanka in 3 weeks on a budget“. So where do you take that bus to Kurunegala? At the Negombo bus station. We had some difficulties figuring out which bus station we should go to, but people in Sri Lanka are very friendly and helpful. On Google maps, it’s called Negombo bus terminal. Once you’re there (either by tuk-tuk, taxi or another bus) search for the sign which says Kurunegala. It should be bus number 34. Make sure you buy something to drink before you hop on as these busses have no airconditioning. At some bus stops, people will hop on the bus and sell some food, yet we haven’t seen anyone sell drinks. Bus 34 will take you in 2 to 3 hours from Negombo to Kurunegala bus terminal, depending on traffic. Kurunegala bus terminal is big and chaotic, once you see the signage above the vehicles it gets easy to find your bus. People are always ready to help you so don’t hesitate to ask something. Keep in mind, always check with the bus driver before you hop on the bus to double check the information given. Once you’re out of the city centre of Kurunegala, you’ll pass through the beautiful landscape of Sri Lanka. You’ll see fewer houses and more fields with palm trees and other local vegetation. After a 2 hour bumpy ride, you’ll arrive in Dambulla. 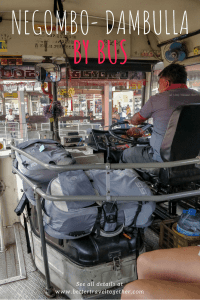 The bus driver dropped us off at the first bus stop in Dambulla (near a bank/atm), but according to our tuk-tuk driver there is a big bus terminal in Dambulla too. >> 195 RS is 1,05 EUR or 1,22 USD. Busses should be every 20 mins in the morning. Don’t take the bus too late as it’ll get warm in the busses if there’s a lot of traffic and thus air is not coming in through the windows. Heavy backpacks have to be stowed in front of the bus. We took the second bus to Dambulla because there was no place left to put our luggage on the first one we saw. Winston beach hotel. A nice hotel at the beach, you can use the (very clean) pool of the hotel next door if you drink something there whilst enjoying the sun & swimming pool. Geniet van het mooie land en rust ook genoeg. En geniet ook van de speciale cultuur. Groetjes Opa en Oma. HI Katrijn & Yentl – is there a website to buy bus tickets in advance from? Or is it safe to bus at the bus station – would we risk not being able to get on the bus? You just go to the bus station and hop on it. The sidekick of the driver will collect the money for the journey when you hop on, sometimes they wait until the bus is driving. If there are too many people on the bus so you can’t sit, you just wait for the next one (shouldn’t be more than 30 mins on any bus in Sri Lanka). We only did this once (Wellawaya to Mirissa – as the busses start 2 hours before Wellawaya). Thanks so much – your blog’s have been wonderful reading and so helpful as I’m going to Sri Lanka for the first time!!! Enjoy Sri Lanka, it's our favourite country at the moment!